The range and improved accuracy of the Emad makes it a threat to surrounding Middle Eastern and Central Asian countries, in particular, Israel. 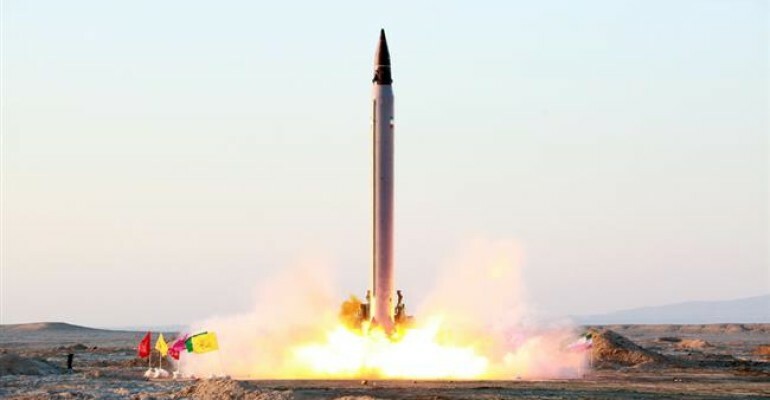 The Emad also increases Iran’s strategic deterrence capability according to Defence Minister Hossein Dehghan  and its accuracy allows the missile to be used for a variety of roles, including targeting of military bases or economic assets rather than population centers. The precision-guidance of the Emad continues an Iranian trend towards improving the accuracy of its ballistic missiles. October 2015: Successfully test fired the Emad (Pillar) missile. Hume, Tim. “Iran test-fires new generation long-range ballistic missiles.” CNN. October 11, 2015. Accessed October 13, 2015. http://www.cnn.com/2015/10/11/middleeast/iran-ballistic-missile-test/. The Future of the U.S. Intercontinental Ballistic Missile Force. RAND Corporation. 2014. Pages 67-68. http://www.rand.org/content/dam/rand/pubs/monographs/MG1200/MG1210/RAND_MG1210.pdf. “Iran’s New Ballistic Missile Should Make Its Neighbors Very Nervous.” Popular Mechanics. October 12, 2015 Accessed October 13, 2015. http://www.popularmechanics.com/military/weapons/news/a17759/irans-got-a-new-ballistic-missile/. Wilkin, Sam. “Iran tests new precision-guided ballistic missile.” Reuters. October 11, 2015 Accessed October 13, 2015. http://www.reuters.com/article/2015/10/11/us-iran-military-missiles-idUSKCN0S505L20151011. Sciutto, Jim. “U.S. : Iran missile test ‘likely’ violated U.N. resolution.” CNN. October 12, 2015. Accessed October 13, 2015. http://www.cnn.com/2015/10/12/politics/iran-missile-test-likely-violated-u-n-resolution/. “Iran successfully puts to test new long-range ballistic missile.” PressTv. October 11, 2015. Accessed October 13, 2015. http://www.presstv.ir/Detail/2015/10/11/432908/Iran-Hossein-Dehqan-Ballistic-Missile-Emad.